Food and Agriculture Organization (FAO) of the UN is working with several partners to facilitate awareness, foster capacity development activities and make agriculture and nutrition data available, accessible and usable to contribute to enhanced food security and better nutrition in Africa. 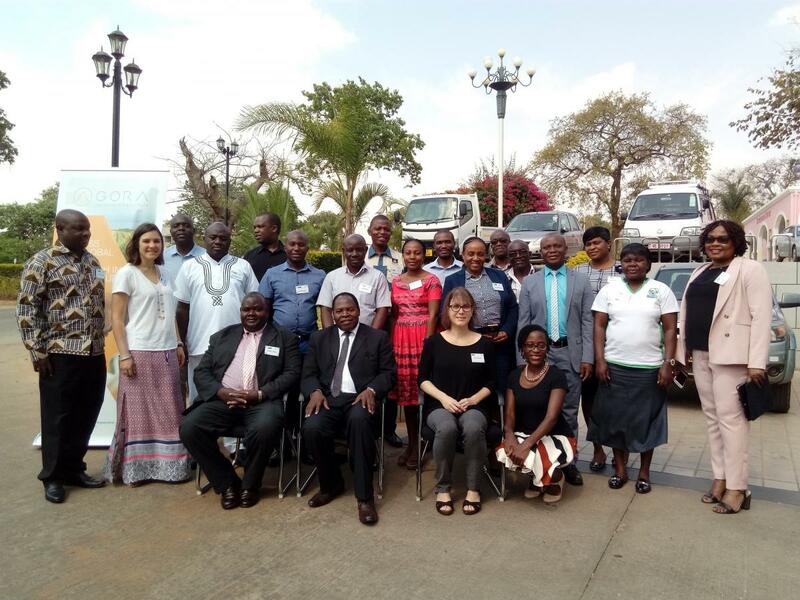 On 1-2 November 2018, FAO organized a regional Malawi AGRIS & AGORA WORKSHOP on enhancing accessibility and visibility of scientific publications in sub-Saharan Africa by using AGRIS and AGORA (both coordinated by FAO). Malawi is among twelve pilot countries participating in the new Research4Life programme: DAR (Digital Access to Research)* this year, with Burkina Faso, Liberia, Mozambique, Rwanda, Senegal, UR Tanzania, Uganda and others. The workshop was organized with the collaboration of the Information Training and Outreach Centre for Africa (ITOCA), which has been working with FAO to encourage more African data providers (journal publishers, aggregators, research and academic institutions) to share content with AGRIS and AGORA and make the best use of it. AGRIS offers more than 9.5 million links to information produced by over 350 data providers from more than 140 countries. While AGRIS is predominantly a bibliographic database which also provides full-text links to around 2 million of its records. The panellists discussed how to apply different techniques to provide and collect data in AGRIS from different data providers, group and analyse AGRIS and AGORA resources per subject and how to do this at high speed. They also highlighted how the digital approach in searching information in AGRIS and AGORA enables better informed research and evidence-based policy making. AGRIS SADC Consultative Group established. * The United Nations Technology Bank for the Least Developed Countries (LDS) & Digital Access to Research (DAR): The Technology Bank for the LDCs is an organ of the UNGA. The Technology Bank through DAR joins the Research4Life partnership as a new type of programme, focusing on the particular needs of the LDCs. The Technology Bank will build on what Research4 Life (R4L) has already accomplished regarding online access to the world’s high quality published scientific and technical information. Learn more about AGRIS and join AGRIS mailing list! Learn more about AGORA and join AGORA mailing list!